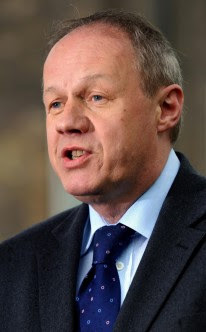 It feels like Immigration Minister Damian Green has surreptitiously announced a cut to a Home Office scheme which saw the Government paying foreign convicts to return to their own countries today. Before October 1 the Home Office would pay £5,000 to foreign lags who still had time left on their sentences, and £3,000 to those who had finished their jail term, to go back to their home country. The initiative, called the Facilitated Return Scheme (FRS), cost the Government some £4.8m in 2009/10, but had been hailed by the previous and current administrations as a “practical solution” to getting rid of foreign convicts. 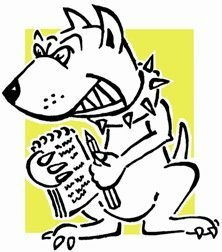 Lobbydog put in a call to the Home Office who said the amounts now paid out would be reduced to £1,500 and £750 respectively. That’s a meaty 70% reduction for the upper tier amount and an even bigger 75% reduction for the lower tier amount. You might think it’s a good thing we're not giving so much taxpayers’ cash to convicts. The question is, will it mean more foreign convicts deciding to stay in the UK? The £750 might hardly cover the plane fare home.